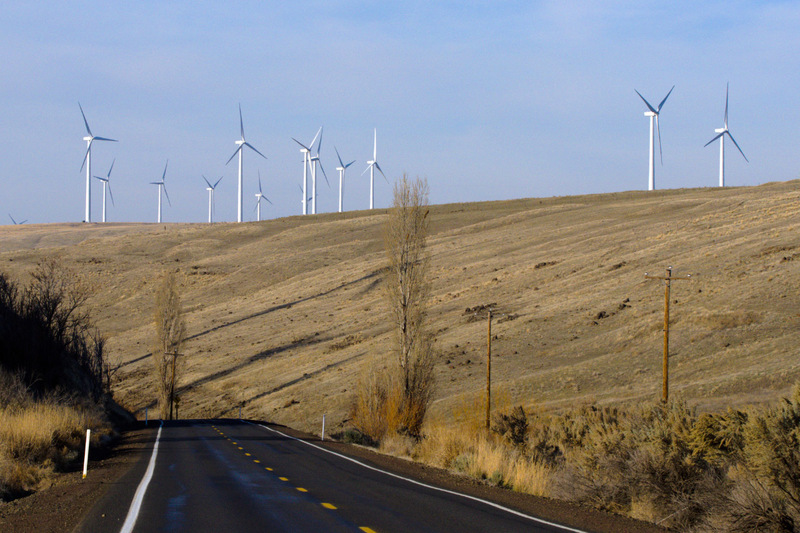 Towering windmills dominate the landscape on the drive from Wasco to Condon in North-central Oregon. With a sparkling blue sky they glimmer in the sunlight. The wide-open spaces of yore become almost urbanized by their presence. The inner photographer is drawn by the alien geometry created in the expanse. 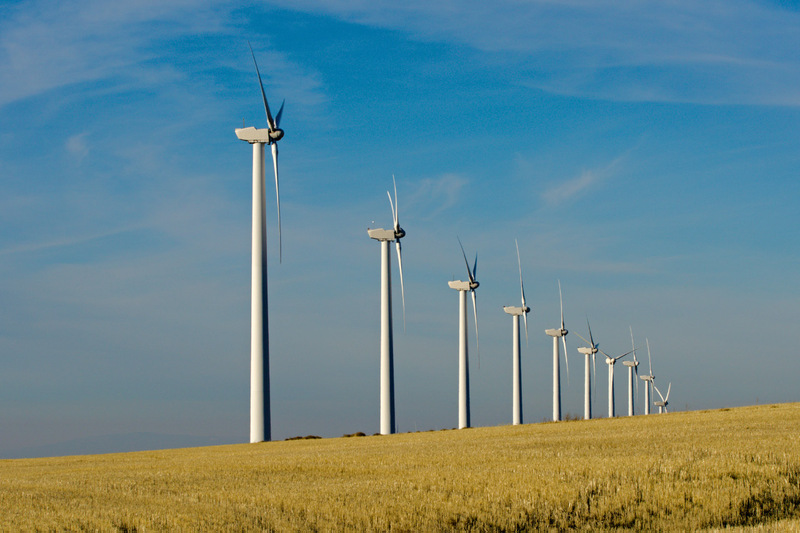 As you seem to be a lover of nature like I am, I would love to know what your take is on what the impact wind turbines are having on our nations scenery and wildlife. It has always fascinated me that even within the “environmental ” community, there seems to be some division. For instance, the American Bird Conservancy has come out against the turbines as the turbines kill hundreds of eagles, while the Audubon Society has taken a less concerned approach similar to the line the Sierra Club has taken at times. What do you think? Is there a reason more of these groups do not seem to be to worried about the loss of aviary life and the diminishing of beautiful scenery? 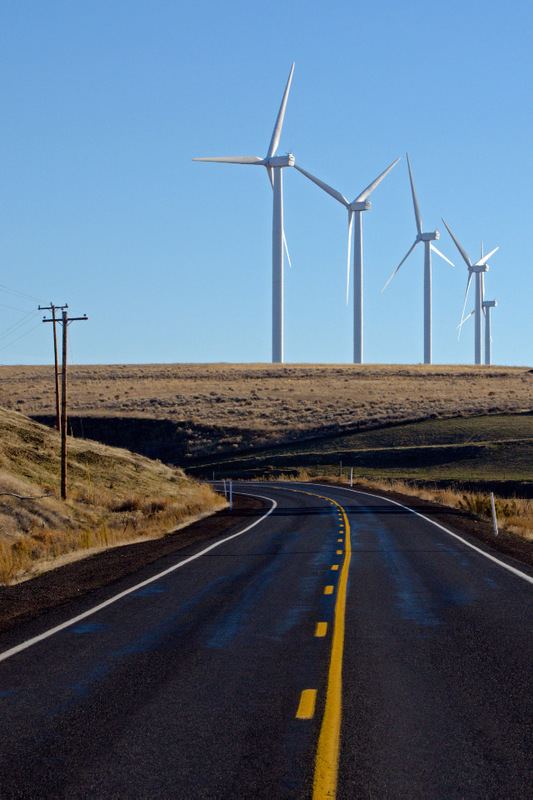 To many people it seems odd to add hundreds of giant wind turbines to the beautiful Pacific Northwest landscape. Over 70% of the electric power produced in the region currently comes from non-carbon resources. The Northwest is already the cleanest electric power producing region in the nation, maybe the world. 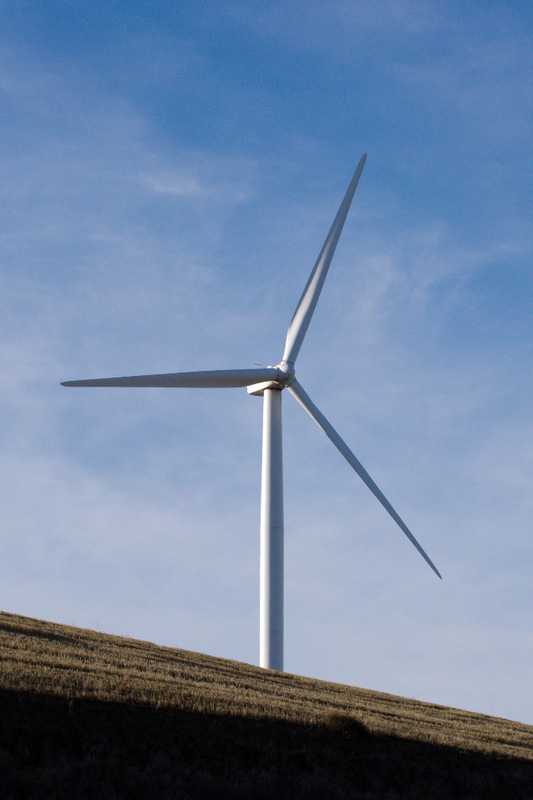 Regarding birds, it would be interesting to hear from someone within the environmental community regarding the question of avian mortality and turbines.